Quality four-year-old One Short reminded everyone of his class with a fighting victory in the $70,000 Fifth Leg Handicap (Race 8-1400m) at Belmont today. The son of Snippetson, who has raced at a high level throughout his career, was brilliantly ridden by SJ Wolfe Racing stable rider Shaun McGruddy, landing in the coveted one out/one back position from barrier 12, before timing his winning move to perfection by holding off Grey Enigma to salute by a long neck. A former $28,000 yearling purchase back in 2015, One Short has now won five and been placed at six of his 22 starts, with his earnings now in excess of $210,000. This fellow has had to overcome his share of niggling injuries over the journey, but now that he's returned to full fitness is expected to continue to make an impact on the metropolitan circuit. 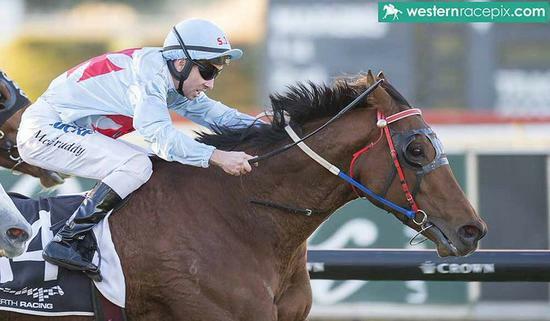 At this stage, he's likely to head next to the $70,000 Ratings 72+ Handicap (1300m) at Belmont on Saturday June 30.